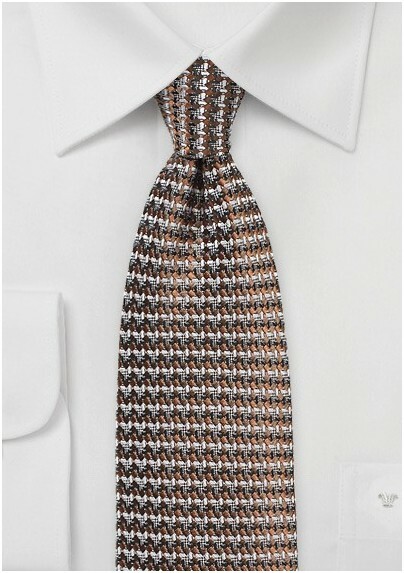 If you're a sucker for an old classic then you won't be able to resist the Vintage Design Tie in Brown and Gray. 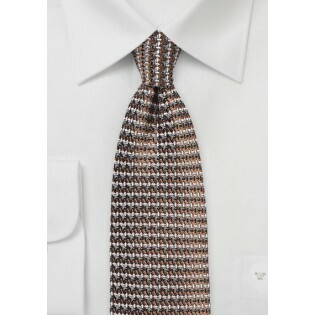 This prime patterned piece is created from a special silk fabric and woven to combine the bronze and black detail. Wear it with a jet black suit to let that design shine!